Small 8 oz. 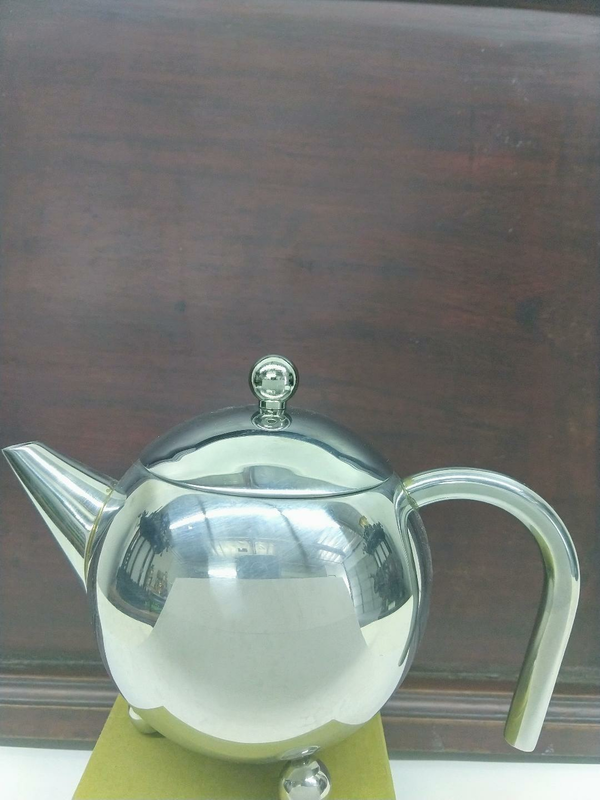 S. S. Teapot with infusion basket. 6 1/2" tip of spout to handle. 4 3/8" height. Makes a perfect cup of tea.